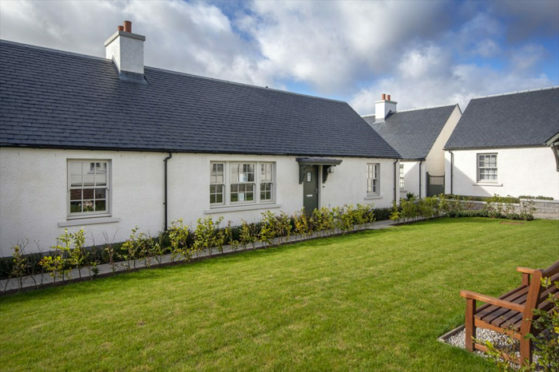 The “Ardwall” is a two bedroom semi-detatched cottage set in the new town of Chapelton. It has been created using state-of-the-art technology combining traditional techniques and principles creating a standard of living that’s far from standard. 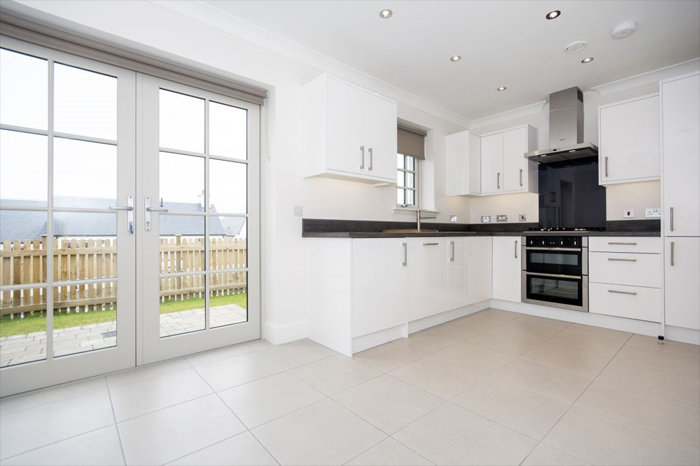 The accommodation of this home extends to a generously proportioned lounge, a desirable kitchen with Neff integrated appliances which include a 4 burner hob with built under double oven, cooker hood, fridge freezer and a dishwasher,with an open plan dining area. 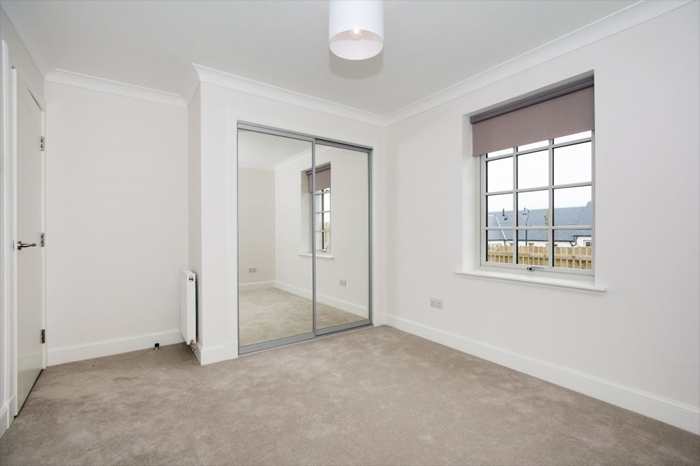 Two double bedrooms both with fitted wardrobe storage and a bathroom with bath and a separate shower cubicle. 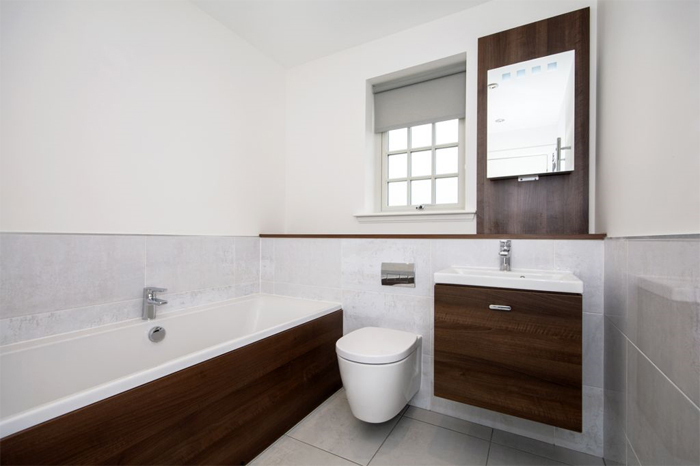 The property is further complimented with two hall storage cupboards, timber double glazed windows, gas central heating with zone controls, LED under unit lighting, a TV aerial system for digital satellite connection, Porcelanosa tiling and Ideal Standard Concept sanitary ware are just some of the quality features of this fine home. 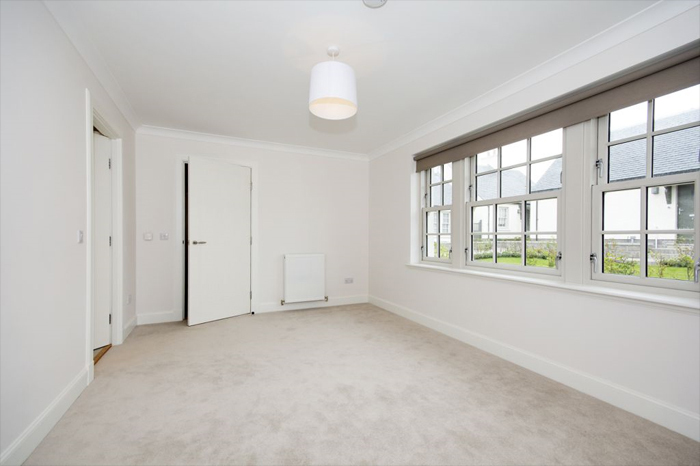 For further information on this home, please contact Blackadders on 01224 452750 or click here.